Ironically, the discipline of marketing was started by economists! I read this article and found it very interesting, thought it might be something for you. 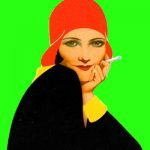 The article is called Why Behavioral Economics Is Really Marketing Science and is located at http://evonomics.com/behavioraleconomics-neglect-marketing/. Economists rarely mention marketing. Occasionally an article appears in the American Economic Review on advertising or promotion or warranties. But to most economists, marketing is a sideshow in the economy. It is filled with too many particulars and virtually no theory. A cynical economist would even hold that marketing activity hurts the efficiency of the economy. Promotions distort the true price and lead consumers to buy on brand name, not real value. Ironically, the discipline of marketing was started by economists! Marketing textbooks first made their appearance in the 1900-1910 period. Their authors were economists who were institutionally oriented rather than theory-oriented. These economists wanted to examine the role that different distribution organizations – wholesalers, jobbers, agents, retailers – played in the economy. They also wanted to describe and analyze the different promotion tools – advertising, sales discounts, guarantees and warrantees—and determine whether they actually shifted demand. Somehow classically-trained economists didn’t view marketing as an intrinsic economic activity. They couldn’t fit it into either macroeconomic theory or microeconomic theory. They didn’t see a role for mathematics in the discipline. Marketing was seen as much more of a psychological and sociological discipline than an economic discipline. An irony today. If you picked up a recent copy of the Journal of the Academy of Marketing Science (JAMS), you can easily mistake it for the American Economic Review in terms of the articles’ mathematical sophistication – they are almost unreadable to the lay reader. Although traditional economists are not doing much mathematical analysis of marketing tools and strategies, marketing scientists are producing quite interesting and complex analyses of marketplace economics. The greatest irony is that traditional economics is now facing a new competitor, namely behavioral economics. Behavioral economics attacks the crucial assumption that consumers engage in maximizing behavior. Aiming to maximize utility or profits is the key to building economic decision models. Otherwise, economists would have to work with another assumption, that consumers are basically “satisficing,” stopping short of spending time to maximize and being happy enough to achieve enough of what they want. But the mathematics aren’t there for this behavior and hence the claim of economics to be a science is also weakened. Behavioral economists, instead of assuming that consumers and producers are maximizers, have to study how different marketing actors actually behave. This involves collecting empirical data. This will lead to recognizing many instances of non-rational or even irrational behavior. How do we explain people paying so much more for coffee at Starbucks or ice cream from Haagen Dazs? How do we explain some low income people voting for Republican candidates when the empirical evidence shows that poor people have done better during Democratic administrations than Republican administrations? If economists now have to study and explain how consumers actually make their choices, they need to turn to marketing. For a hundred years, marketers have collected data on what, how and why consumers buy what they buy. The data is there. The only conclusion we can draw is that behavioral economics is, ironically, another word for marketing. Marketers have been the behavioral economists! What about producers’ decision making? Traditional economics says that producers aim to maximize their profits? But this ignores the role of risks. Every producer can take on higher levels of risk in the pursuit of higher profits. But producers, in practice, have risk aversion. They have different appetites for risk. This undercuts the notion that they only concentrate on profit maximization. When risk is include, we might say that producers aim for a balanced ratio of profit to risk. When producers face a big risky decision such as buying another company, many market estimates must be made. What will happen to market size and market share? Many different scenarios can take place. Estimating their respective success probabilities is difficult. Many acquisitions in practice are motivated by CEO’s egos that leave them less sensitive to actual risk. Again, the task of behavioral economists is to collect data on how these difficult acquisition decisions are actually made. And part of it is to determine how much marketing estimation and game-theory thinking occurs in the process. The main conclusion is that economists, both traditional and behavioral, will benefit from paying closer attention to developments in the marketing discipline and marketers looking for more theory will benefit from paying closer attention to both traditional and behavioral economics. Did Money Eat Our Brains? 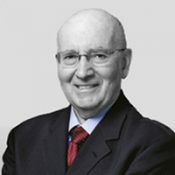 Philip Kotler is the S.C. Johnson & Son Distinguished Professor of International Marketing at the Kellogg School of Management at Northwestern University. He received his Masters degree at the University of Chicago and his Ph.D. at MIT, both in economics. He did postdoctoral work in mathematics at Harvard University and in behavioural science at the University of Chicago.